Milwaukee, February 27, 2019—Heartland Advisors has been awarded a Top Guns designation by Informa Investment Solutions’ PSN manager database, North America’s longest running database of investment managers. Heartland’s Mid Cap Value Strategy was recognized in the four-star category of PSN’s Mid Value Universe peer group for the quarter ending December 31, 2018. Four-star strategies are selected based on adherence to the style benchmark, returns in the three latest three-year rolling periods, and returns in the latest three-year period. In addition, both Heartland’s Mid Cap Value Strategy and Opportunistic Value Equity Strategy were recognized for top-ten results in their respective peer groups for performance during both up markets and down markets. PSN awards “Bull and Bear Master” designations based on style adherence and advancing more than the market during upswings (upside capture ratio) and declining less than the market during downturns (downside capture ratio). The top-ten performers are selected based on the ratio of the upside capture ratio to the downside capture ratio for the latest three-year period. 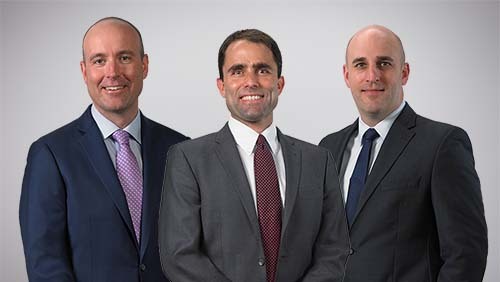 Both Heartland’s Mid Cap Value and Opportunistic Value Equity strategies are co-managed by portfolio managers Colin McWey, CFA and Will Nasgovitz. Learn more about the strategies at heartlandadvisors.com. Through a combination of Informa Investment Solutions’ proprietary performance screens, PSN Top Guns ranks products in six proprietary categories in over 50 universes. Informa Investment Solutions is part of Informa Financial Intelligence, a leading provider of critical decision-making solutions and custom services to financial institutions. The complete list of PSN Top Guns and an overview of the methodology can be located on https://financialintelligence.informa.com/productsites. Established in 1983, Heartland Advisors, Inc. is an independently owned equity value investment manager based in Milwaukee, Wisconsin. As of December 31, 2017, the Firm managed approximately $1.7 billion. The Heartland family of value-driven, actively managed portfolios includes distinct U.S. and international strategies, offered through five mutual funds and four separately managed accounts. Learn more at heartlandadvisors.com. The Opportunistic Value Equity Strategy seeks to capture long-term capital appreciation by investing in companies with market capitalizations greater than $500 million. The Strategy’s flexible pursuit of value positions it as a core holding for investors.